Want to learn more about how your prints are brought to life here at CatPrint? We feature a different step of the process to give you a full rundown of how your order is made: from Customer Service all the way to the outgoing mail cart! Naturally, all orders begin in Customer Service. 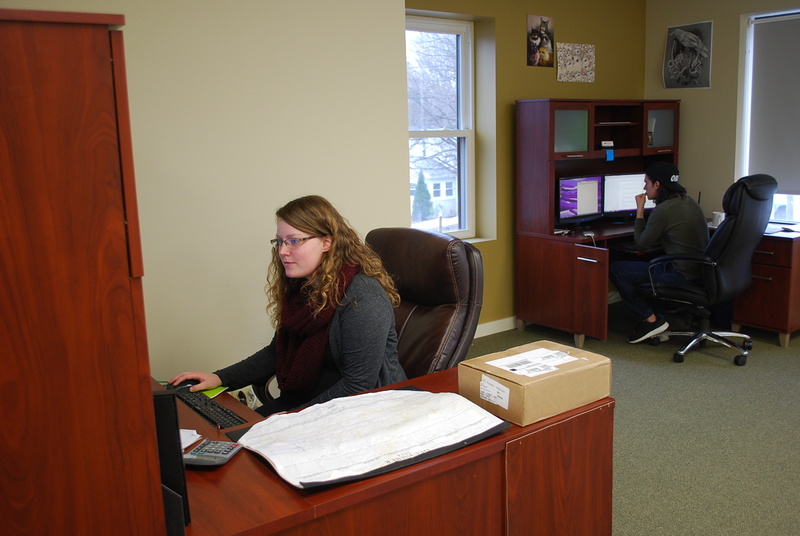 Our Customer Service team is comprised of Nicole, Matt, and Eileen. They handle all customer inquiries and act as the middlemen between the customers and the CatPrint Production team. Once your order is placed, Customer Service pre-press occurs with reviewing each order and doing the first quality check. They look for common file issues and address any potential concerns with the customer. CatPrint Customer Service Rep Eileen and Matt checking your files!